Film documentary Return to El Salvador released June 2010 by director / producer Jamie Moffett will be the first West Coast film debut as well as first in the Compathos Film with Social Impact Producer and Director Series at the Hub in San Francisco, September 2. The Hub a place-based and global network of entrepreneurs, freelance professionals, artists, funders, students, mentors, community leaders - a habitat for innovators. Members come to The Hub to collaborate, access market opportunities and capital, build community, and scale ideas for social and environmental change. Most of what truly happens in the microcosms of the world stage are hidden behind curtains of complacency or lack of journalistic representation. It takes documentary filmmakers such as Jamie Moffett to not only be in the right place at the right time, but to embody the passion it takes to persevere with a story that has the potential to shed light on many complex issues at once. Return to El Salvador's most obvious themes include war,immigration, environmental, social and economic justice, and corporate accountability; not so obvious is our growing responsibility in an interconnected world to re evaluate - just who is our neighbor? Only by listening to their story will we find out. After that it's up to us to decide how to best become agents of change from our station in life. Return to El Salvador, narrated my Martin Sheen and endorsed by Desmond Tutu, is a documentary about the legacy of the country's 12-year-long civil war, (some disconcerting references to graphic violence) and the United States' role in it. The film asks why 700 Salvadorans leave their country every day; while reminding audiences why the fate of these people is intimately bound to the recent history of the United States. A year ago, Moffett and his film crew revisited El Salvador to shoot principle photography, when the project took an unexpected detour. Moffett heard about a teacher and anti-mining activist, Gustavo Marcelo Rivera Moreno, who had disappeared days prior from the tiny country town of San Isidro, his tortured body found in a nearby well. Rivera vigorously opposed Canadian based, Pacific Rim Mining Company and the local government based on environmental and human rights concerns. Moffett attended Marcelo's funeral on a whim to film and the event had a profound effect on his life. He and his crew went on to unearth this tragic account which is woven into the films story. Fast forward today, and we find this unanticipated episode having immediate impact. Return to El Salvador was premiered before Canadian Parliamentarians as well as foreign dignitaries in a screening hosted by John McKay. 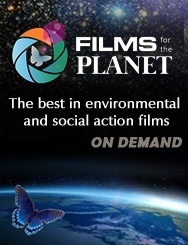 The film's message of Canadian corporations' disregard for human rights and environmental irresponsibility spoke to McKay who is sponsoring a piece of corporate accountability legislation called Bill C-300, which would limit abuses committed abroad. A Rally for Mining Justice was organized by Ottawa-Gatineau Coalition against Gold Mining in El Salvador in support of both Return to El Salvador, and Bill C-300 which gathered on Parliamentary Hill. At the press conference held afterwards, McKay states, " Jamie's portrayal of the issues this country faces, particularly those related to matters of foreign interference demonstrate the importance of our own countries actions, on those living in this small country". "I'm eager to share the story of the torture and death of Marcelo Rivera as it relates to Canadian mining corporations," says Moffett. "The story I came across changed my life. It's critically important that Canadians take stock of what corporations that fly the Canadian flag are doing and the way this affects how Canadians are perceived worldwide. "The mining company's presence continues to create violence and conflict by their continued insistence on opening the mine despite widespread community opposition," said Alexis Stoumbelis, Executive Director of the Committee in Solidarity with the People of El Salvador (CISPES.) "The idea of corporate social responsibility is a weak framework, in my opinion, because it doesn't fundamentally change the balance of power. Under the current neoliberal model, the right of a corporation to make a profit is upheld over the rights of an individual or a community to have safe water and land on which to farm," said CISPES's Stoumbelis. "Toughening regulations, while necessary, doesn't go far enough to challenge these fundamental inequalities. It doesn't seem possible to have any form of mining that is good for the environment or for developing sustainable industries or economies in Latin America or elsewhere."